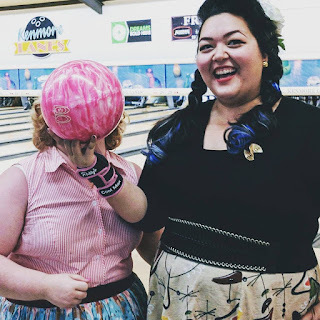 Reggi and I wanted to plan an event that would introduce our selves to more ladies and gents in the pinup/vintage community around the greater Seattle area. So, we decided to do a bowling night at Kenmore Lanes. Though we weren't able to meet new folks this time around, we still had a blast with our core group of friends! 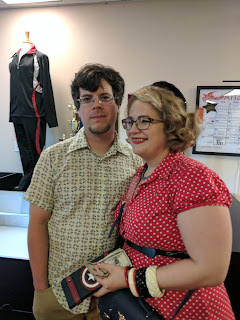 This past April, at Viva Las Vegas Rockabilly Weekend #20 (VIVA), we witnessed history... the VIVA Dance Competitions! Each was amazing and inspired us to learn how to dance for next year's events (at VIVA #21)! Not only was Viva Las Vegas Rockabilly Weekender #20 (VIVA) AMAZING in every way, we got to see THE QUEEN herself, Dita Von Teese, perform! For my birthday we decided to go to Port Townsend on the Washington state peninsula for the weekend. It turned out to be the Brass Screw’s Steampunk weekend, so we thought we should join in on the fun! Or more like, ‘What a great excuse to make a costume!’ I decided to make something very girly and that could potentially be used for things that were not just steampunk. 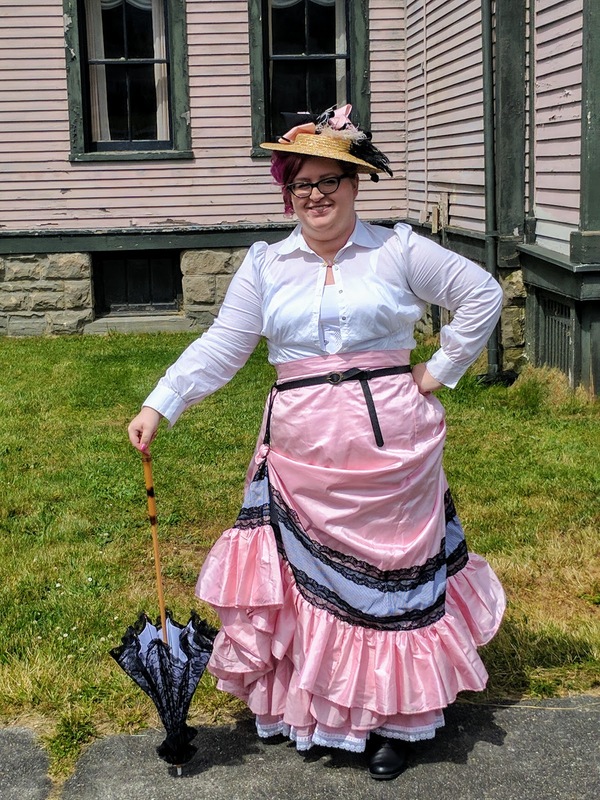 So I set forth to make a skirt and blouse from the later 1890’s. I chose this period because it is kind of whimsy and circus feel that goes well with steampunk. This past April, I had the pleasure of attending Miss Ruby's Beauty School. This post is a continuation of series of hairstyles Miss Rockabilly Ruby taught during her class. This post focuses on her version of the Mermaid Hair/Wave Look. It's the most difficult of the three looks she taught; but, it is definitely a beautiful hair style worthy of many attempts to master! 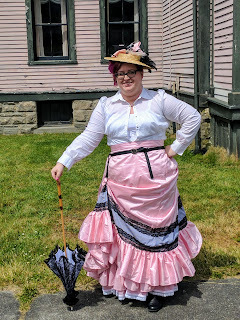 Miss Kitty Sews has a very steampunk birthday weekend. Turning 30! 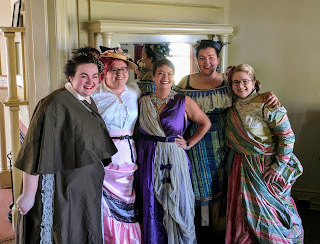 My birthday was this past week, and to celebrate I took some friends to spend the weekend in Port Townsend. That weekend just so happened to be the same weekend as a steampunk event, so I thought we could be sneaky and wear some steampunk outfits around town. We had some great fun checking out a couple of bars, and then going on a ghost tour of Uptown Port Townsend. The night ended with a huge cake brought by Reggi Rose, and some Cards Against Humanity. This was a great birthday, and I was so glad that everyone had a good time. Afternoon Tea to Celebrate Reggi's Birthday! This weekend we celebrated the birthday of our one and only Reggi Rose! To celebrate we went to Seattle for afternoon tea at Cederberg Tea House. It was a lovely way to honor Reggi's thirtieth year. Unfortunately we only had Reggi for a couple of hours since she is in the middle of moving houses and couldn't spend the whole day out shopping. :( We still had fun though, like always! After the jump we will go into a review of the Cederberg Tea House in the Queen Anne area of Seattle, and share some great photos of the birthday girl! 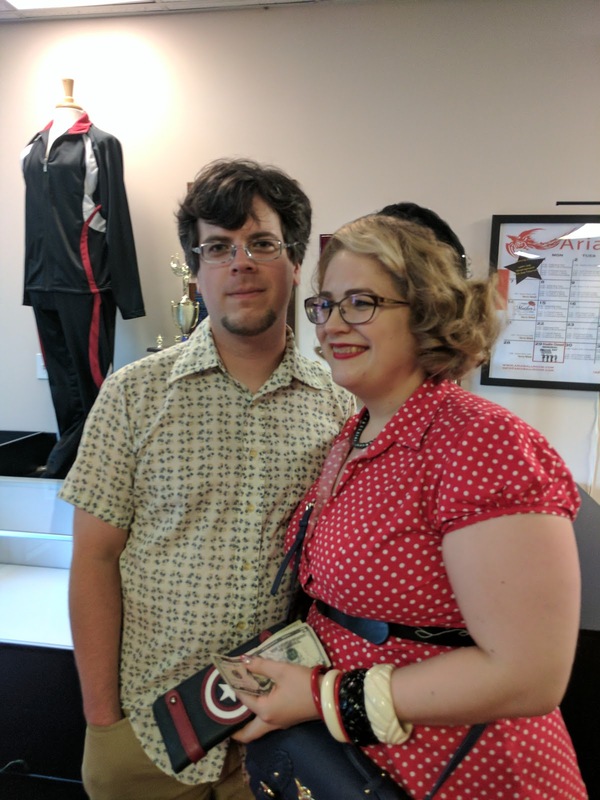 Some of the ladies and I went to an East Coast Swing dance social! The first half an hour is spent learning the basic steps. Then there is live music and dancing afterward. We had so much fun! The dance studio is called EastSide Stomp in Redmond, WA. Entrance fee was $12, but includes the beginner lesson before the dance. My dance partner was the always amazing Rachel, while Sarah brought her husband along. They used to go swing dancing all the time when they first met, but Rachel and I were dance newbies.